Trent Reznor has rocked the music world once again. The long-time front man for Nine-Inch-Nails is convinced the current music business infrastructure is broken since it requires artists to rely on labels. Reznor is looking for a new model. Last year NIN broke free from its major label and decided to go independent, look to its fans for support, and experiment with new business models made possible by the Internet. So far, I’d say its working for Reznor and NIN. Within 36 hours of releasing the band’s latest album online with a variety of payment options, including free, it sold-out the 2,500 $300 Limited Edition Ultra-Deluxe Packages, grossing the ARTISTS $750,000 on the album’s first 2 days available, from that option alone. NIN’s album, “Ghosts I-IV” is released in 320 kbps .MP3 and a variety of other DRM-free formats (so there won’t be annoying incompatibility or permissions issues). The album includes many options like DVDs, CDs, booklets, music tracks for re-mixing, vinyl LPs and an assortment of other goodies that add value for the fan. There are several payment options for fans including free, a $5-pack, a $10-set, $75-kit, and the deluxe $300 Limited Edition pack. NIN offers the album from its own website and also sells it in traditional music stores. Radiohead released an album online recently under a similar “optional” business model and it also proved a financial success for the artists. 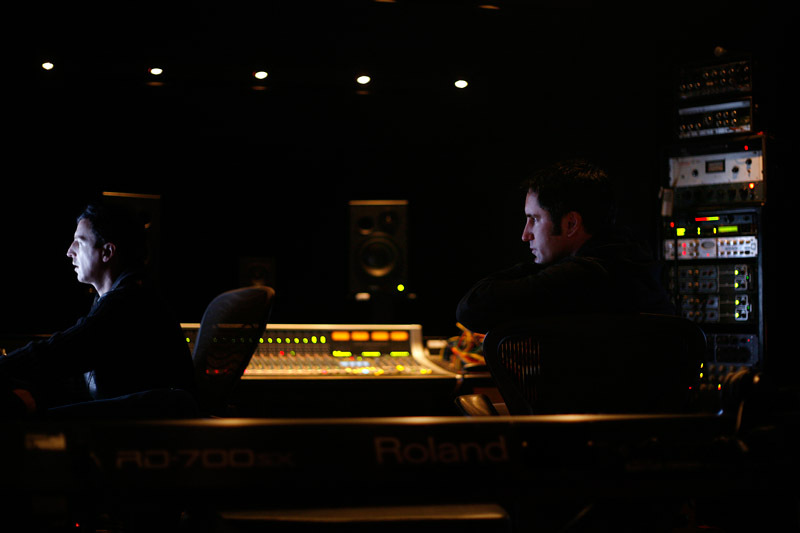 NIN’s album is released under a Creative Commons Attribution Non-Commercial Share-Alike license so NIN’s fans will be able to remix and share the tracks with their friends through lawful file-sharing. My appreciation goes to artists like Trent Reznor for having the courage to experiment with new business models and pave the way for other artists to make a living from sharing their music. If you are also a ballet geek, you may find the Basic Agreement between the San Francisco Ballet and the American Guild of Musical Artists fascinating. I wrote an article highlighting some of the more interesting terms in this collective bargaining agreement that is signed by every ballet dancer (and choreographer) who works with the San Francisco Ballet. My client, the legendary Monterey Jazz Festival (MJF) has launched an exciting new project, the Digital Music Education Project (DMEP) that uses the power of the Internet to bring jazz music education to the masses. Besides hosting the hottest jazz concert each year, the Monterey Jazz Festival is a nonprofit organization that invests its resources in jazz music education programs, especially in the local public schools. But now thanks to MJF’s Digital Music Education Project, those educational opportunities are captured, digitized, and made available for free download by anyone in the world. Listen to today’s top jazz artists give advice to students or discuss their own musical influences from the DMEP website. “Master classes” taught by renowned jazz experts can be accessible by anyone via the Internet. I am honored to have provided legal counsel to the Monterey Jazz Festival to enable this innovative project’s development; and you can also contribute to MJF’s jazz education program here. MJF’s Digital Music Education Project launch coincided with the 50th year anniversary of the festival (Sept. 2007). Dave Brubeck, who performed at the first MJF festival in 1957, took center stage 50 years later to captivate the fair grounds yet again with his fingers on the ivory. Diana Krall, Sonny Rollins, Terence Blanchard, Gerald Wilson and hundreds of other jazz artists performed in the sold out jazz music extravaganza. If you couldn’t make it to Monterey last September to sway to the jazz among the Redwoods, you can still catch the national tour of MJF’s 50th Anniversary Band, which ends in Michigan on 16 March 2008 (sans Redwoods). And the 51st Monterey Jazz Music Festival will be held 19-21 September 2008. The Internet has created exciting new opportunities for artists to distribute their music to the world, but cyberspace is not without its share of hucksters ready to trick artists into signing away all ownership rights to their music for a song. A musician recently came to me to review a recording contract that had been offered to him from an independent record company. Although the artist had already recorded the CD of his original compositions, he wanted a record label to distribute his CD. He thought he was signing a distribution deal. But buried in the back of the contract was a clause requiring the artist to assign all of his publishing copyrights in the music to the record label. Although the contract was labeled as a “Exclusive Recording Agreement”, it was in fact, also a Publishing Agreement, and this distinction is worth everything to an artist. Who can’t understand a sentence that is 23 lines long? So while this Artist thought he had been offered a distribution deal, he was actually given a contract that would have transferred all of his publishing rights to this label forever. And any music he writes in the next 4 years would also belong to the label. Besides taking all rights to his music, the contract would not have allowed him to record with anyone else either. What great inducement was this label offering the artist as an advance to give up all of his rights? Nothing – $0 advance. Just old-fashioned artist exploitation. A little background on copyright. There are several copyrights to a piece of recorded music, and these copyrights are often owned by different people or entities. There is the copyright on the song itself, the musical composition and the lyrics, and this makes up the Publishing Rights to the song. The author of the song, typically a songwriter or her publishing company, is the owner of the copyright on the song. So the artist who composed the song typically owns the publishing rights to the music. Then, separate from the publishing rights, there is the copyright on the sound recording of the music. The copyright on the sound recording is typically owned by the record label who makes the recording. So the artist typically owns the copyright on the song, while the label typically owns the copyright on the recording of the song. There are exceptions to this generalization. Sometimes artists assign a portion of their publishing rights to a major label’s publishing company if the label offers a sweet deal, like a large cash advance or access to major distribution channels. But any reputable record company will not try to mask a publishing deal by labeling it a recording agreement and then bury the clause that transfers all of the artist’s publishing rights to the company in an unlabeled and unintelligible clause near the end of the agreement. The real insult to injury in this case is that this record label markets itself online as a ‘label that protects artist’s publishing rights’. Ironically this label’s president said the terms of the contract (which take away all of the artist’s publishing rights) are “not negotiable”. A label that engages in such deceptive practices risks becoming a defendant in a class-action lawsuit by disgruntled musicians who eventually realize they have been ripped off. Besides being an unfair and deceptive trade practice, the labels’ conduct violates Section 17200 of California Business and Professions Code. Many artists wonder if it worth the trouble to register their creative works with the US Copyright Office. The answer to any artist who hopes to distribute their works to the public is YES! Registration of works are necessary before a lawsuit for infringement can be filed. Statutory damages and attorneys fees are available to copyright owners in court actions if registration is made prior to the infringement or within 3 months of the work’s publication. For non-registered works, only actual damages and profits are available to copyright owners in successful infringement actions. Registration will establish prima facie evidence in court of the validity of the copyright and of the facts stated on the certificate (if registration is made before or within 5 years of publication). Registration permits the copyright owner to record the registration with the US Customs Service for protection against importation of infringing copies. A creative work can be registered at any time during the life of the copyright, and if created in 2007, the copyright carries a term of 70-years after the life of the author. Registration is a simple process and the fee is low ($45 for basic), so artists are encouraged to register their copyrights on their music, video and other works. Innovative new media companies like San Francisco-based SNOCAP and UK-based 7Digital offer independent musicians tools to distribute their music digitally at their own price and on their own terms. The content-delivery services allow artists to sell their music on their own website, Myspace page, blog, or from 7Digital’s “IndieStore”. The music is distributed in a variety of formats, including the popular DRM-free MP3 format. SNOCAP was created by Napster founder Shawn Fanning, Jordan Mendelson, and Ron Conway in 2002. SNOCAP provides artists with tools to create online stores and distribute their music using P2P file-sharing software. Artists upload their music and album information to SNOCAP’s Digital Registry and SNOCAP keeps .39 cents for each song downloaded. With 7Digital’s do-it-yourself-digital-download-store, artists have an instant world-wide selling point and keep up to 80% of the profits from their music sales (with monthly accounting). The service takes PayPal and other click and buy payment methods to keep it simple. Other companies like CD Baby help artists to distribute their recordings both digitally at places like iTunes as well as on physical CDs through the mail. Obviously one of the most exciting aspects to this kind of digital delivery service is that artists are no longer forced to give up control and ownership of their music to a major record label in order to have global distribution. Another key point is that these new media companies do not require exclusive distribution deals with artists. Artists remain free to promote and sell their music in as many outlets as possible. Now this is what I call using technology to empower creativity! The financing behind 7Digital is Benchmark Capital, the same firm that funded the successful online auction company eBay.com. SNOCAP is funded by Napster’s funders and several other forward-thinking new media VC firms. Independent video producers who haven’t had access to major distribution channels in the past are in for some luck. iTunes has begun distributing video. And its not only the established label video that iTunes is pushing through its network, its also distributing independent video, such as action sports and documentary video. As more online services like iTunes Video and YouTube.com become common, artists and video producers have more choices and opportunity than ever before to distribute their creativity to the public. The action snowboarding video “That” sells on iTunes TV for $1.99. According to this article in Variety, Apple held-out until the video’s owner agreed to lower the price to $1.99 for the half-hour video. As with negotiations over major-label music on iTunes, Apple was able to use its market power to force the content producer to lower the price.